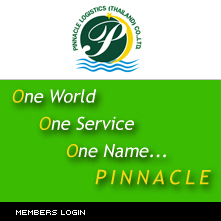 Pinnacle Logistics (Thailand) Co., Ltd. obtains value-based pricing. With our frequency departures, regular weekly schedules, and multiple departures our customers have the freedom to operate flexible supply cycle needs. We offer a full array of ocean related services including Ocean Forwarding, NVOCC Consolidators or FCL container management. 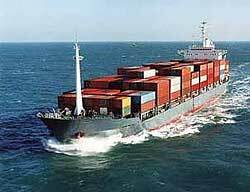 Our professional experience are trained to guide you through the complexity of global shipping. We can offer a single-source solution to and from any point worldwide keeping you informed of your shipment status at every step. With our access to over 200 ports-of-calls in our global consolidation hubs, our customers enjoy the flexibility and reliability that are demanded on today global market. Through our Ocean division you get complete professional service. Our employees use the latest information technology and computer systems to manage your shipment thought the delivery cycle. Our seafreight service connects to the wider Pinnacle Logistics (Thailand) Co., Ltd. service. We use our air and land network to manage your entire supply chain, taking all responsibility for moving your freight door to door. 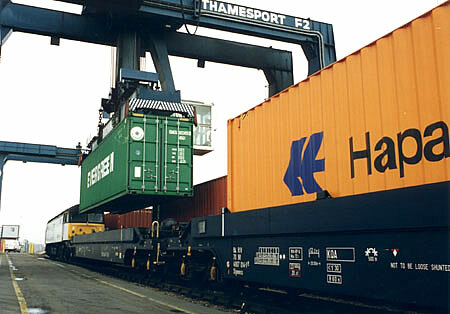 Goods that do not fill a container are sent as consolidated shipments or Less Container Load (LCL). We offer services around our global network of hubs, through centralized sourcing of capacity, freight volume is bundled on a global level, ensuring that adequate capacity is available at all times. With a special consolidation team, we can offer a consolidation box from Thailand to every ports pairs in the world. Our regular consolidation box from Thailand to Intra Asia, Europe, Middle East, North, and South America. Please find the detail of our consolidation box sailing schedule. As one of the largest Ocean Transportation Intermediary, Pinnacle Logistics (Thailand) Co., Ltd. enjoys leverage pricing with many carriers. This leverage means you will get the best value.